Kaze Matsukichi (Funakoshi Eiichiro) is a TV producer with a beautiful wife Futaba. 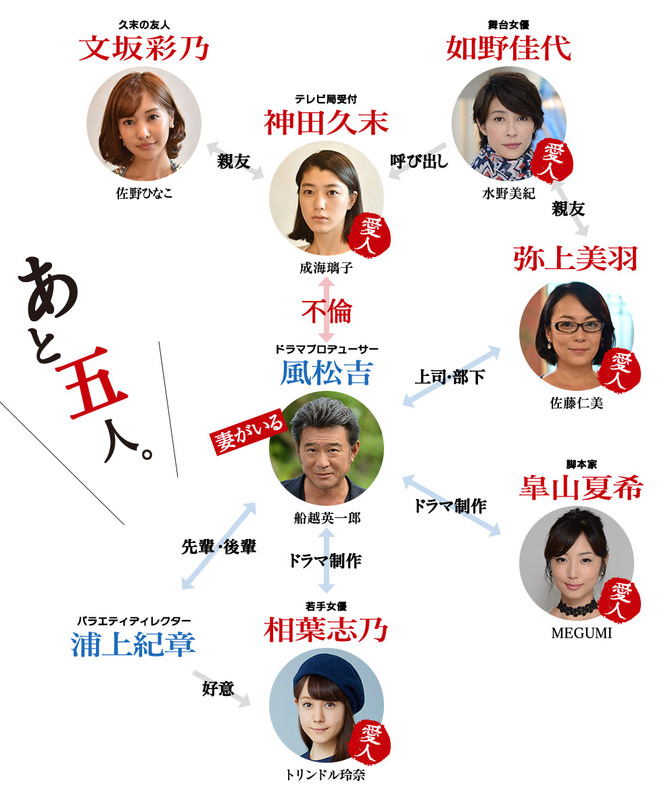 However, he also nine mistresses (Mizuno Miki, Narumi Riko, Triendl Reina, Sato Hitomi). His wife and mistresses have an inkling about each other�fs existence, but they just cannot leave him even though they are fully aware that he is a philanderer. One day, they plot to murder him. The guy with several girl friends, trying to juggle them all scenario. But in a nice twist, told from the viewpoint of the women. 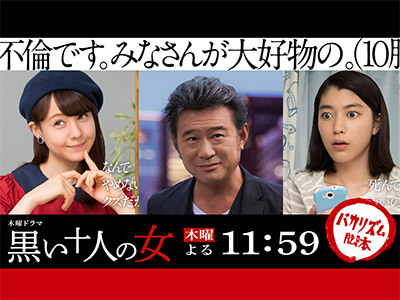 I thought Miki Mizuno was hilarious as possibly the worst stage actress ever.